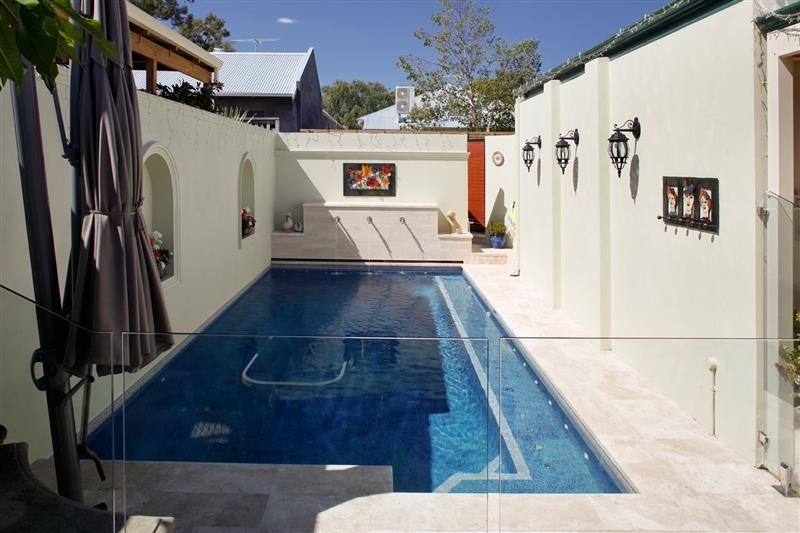 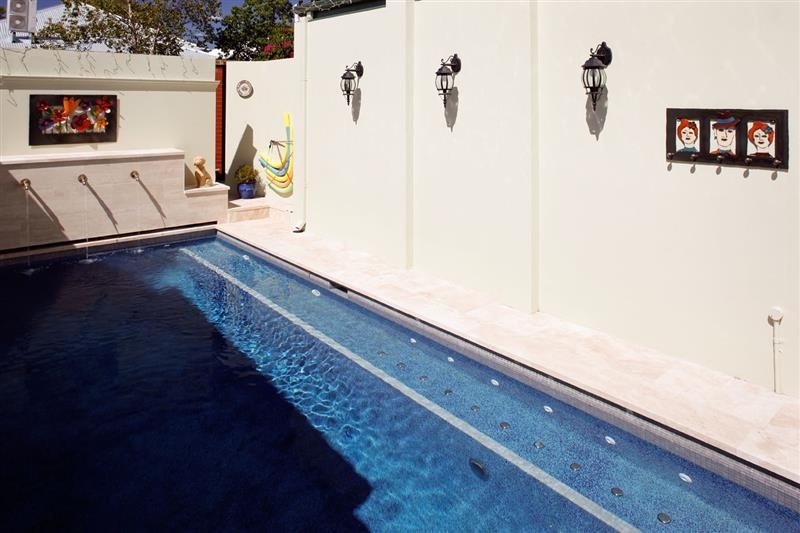 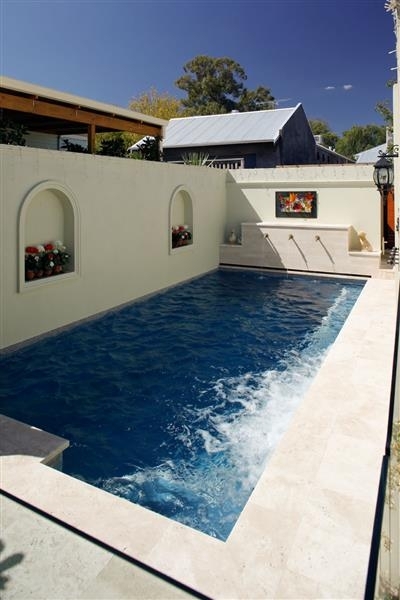 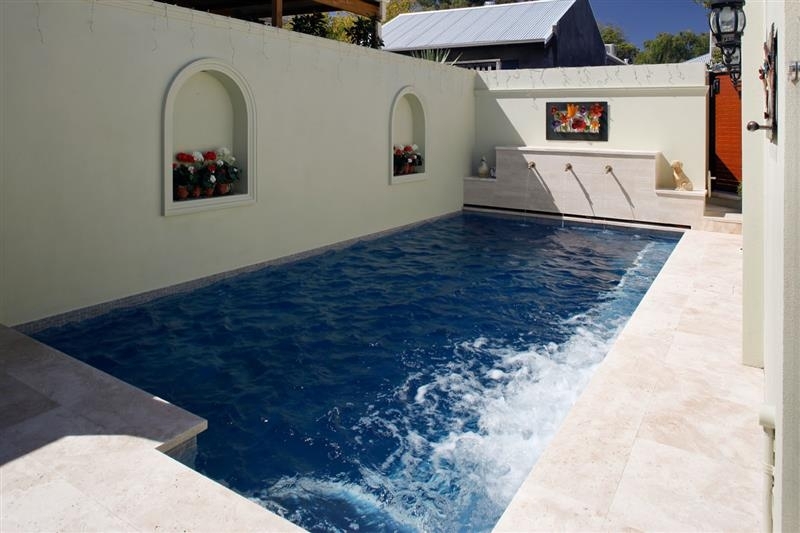 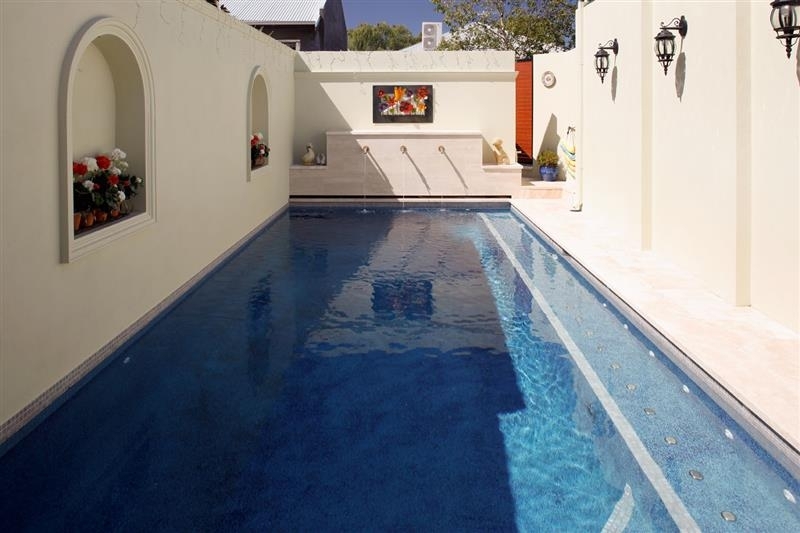 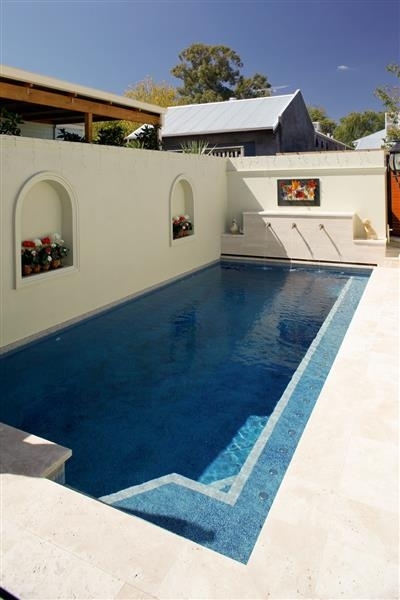 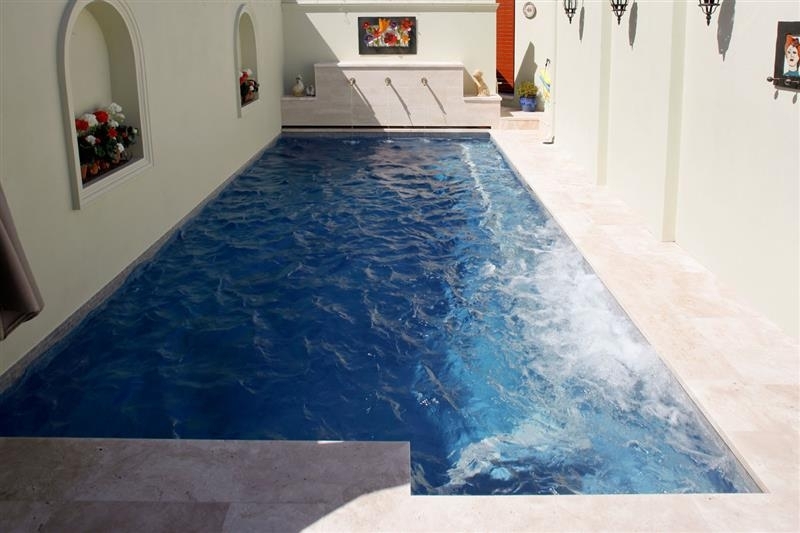 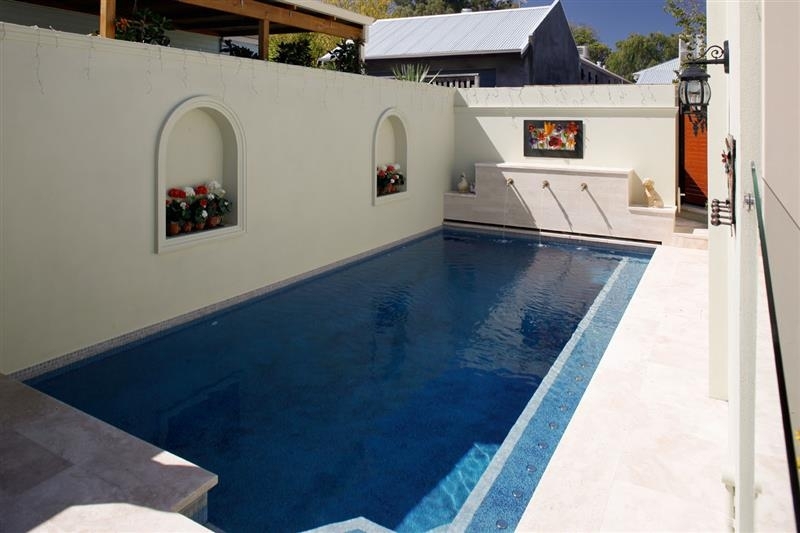 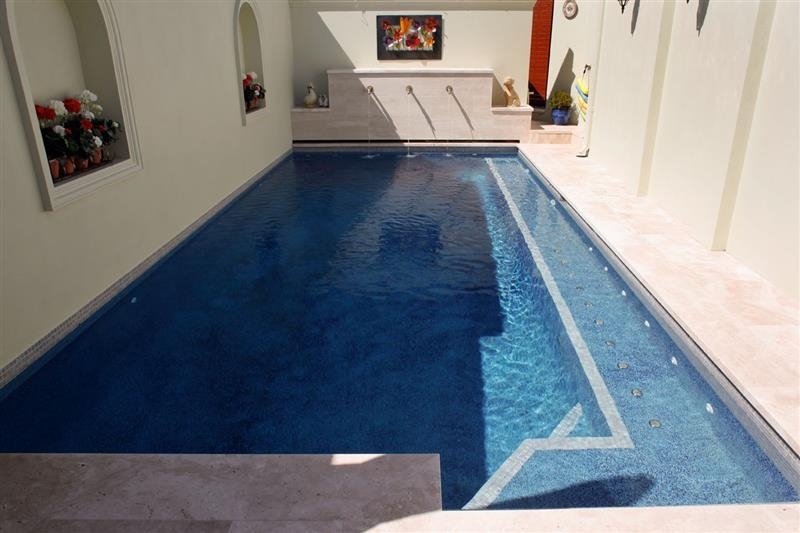 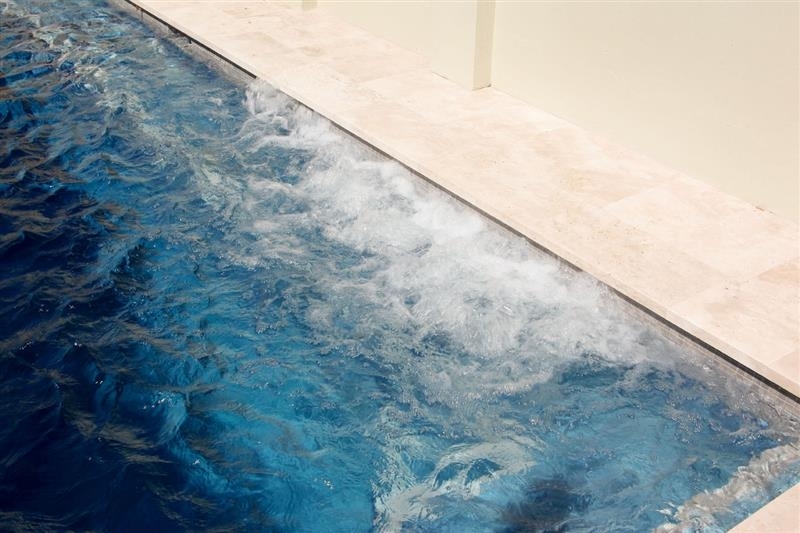 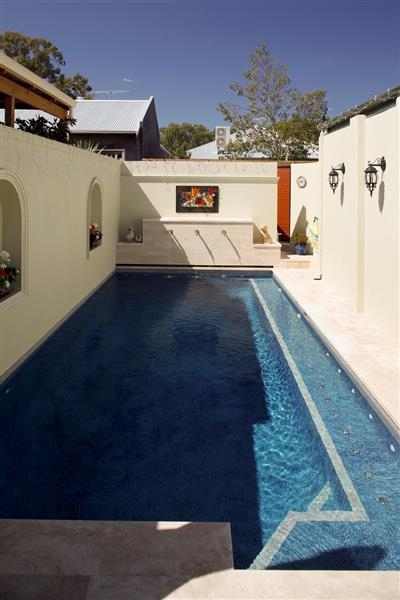 This courtyard pool was built at our client’s existing residence in Shenton Park. 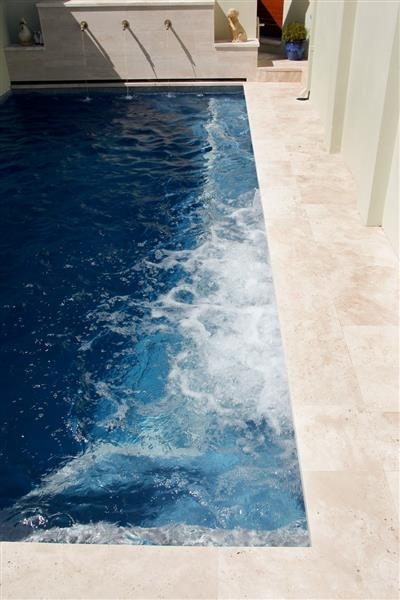 The pool butts up against the boundary with a brick wall built on top the the pool shell. 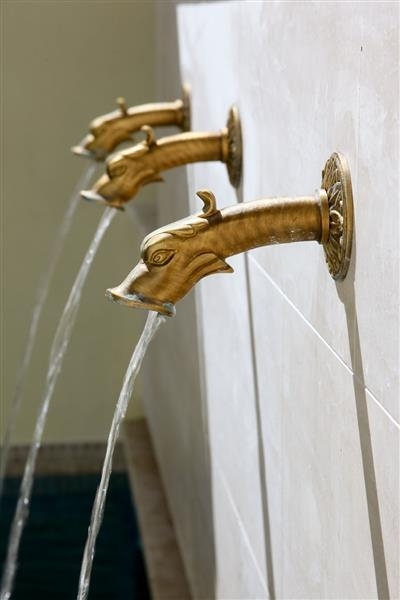 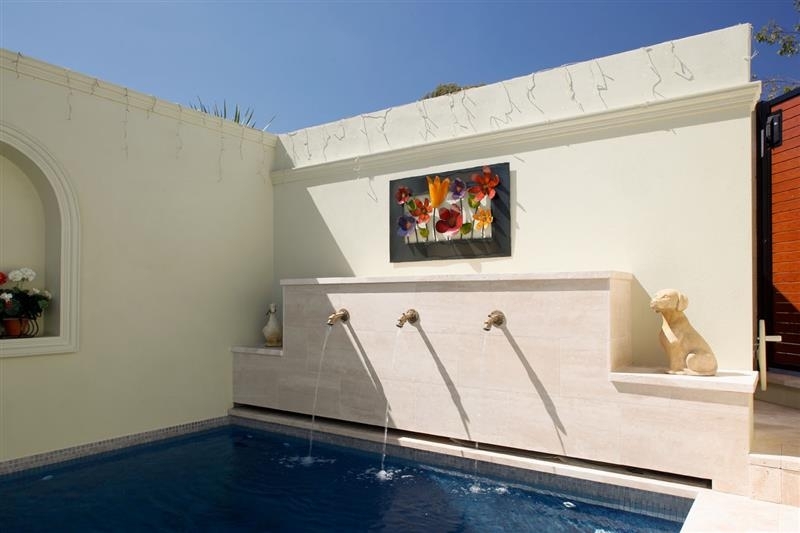 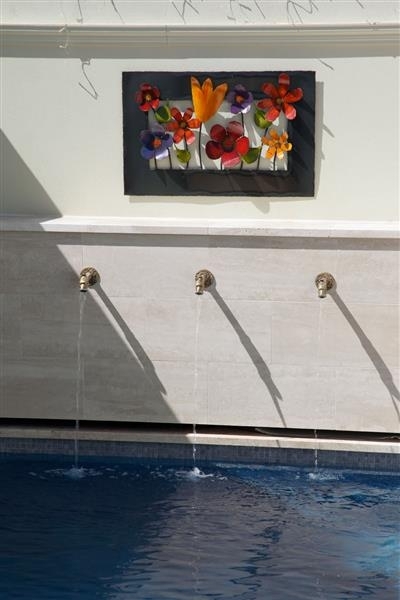 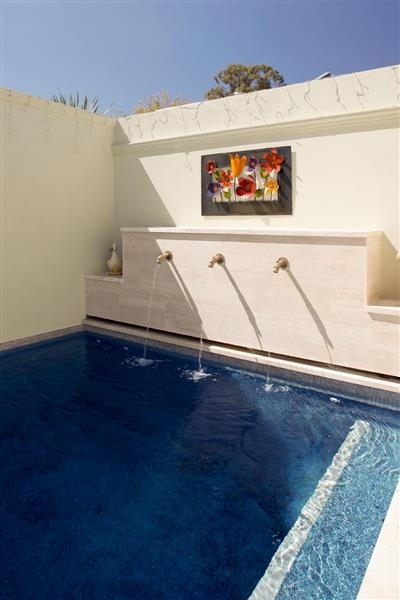 A custom made water feature with planters and wall behind hide the pool equipment.